The shampoo is intended for regular care about pelage and skin of ornamental and pigmy rabbits, guinea pigs, rats, hamsters, ground squirrels, marmots, jerboas, squirrels, chipmunks, chinchillas and other rodents. Unique composition (extracts of white nettle, pine straw, burdock root, flowers of camomile and arnica, leaves of rosemary and water cress, ivy wood, garlic cloves and glycerol) provides effective removal of dirt and rodent characteristic odor having antibacterial and anti-inflammatory effect, prevents dandruff. The shampoo activates hair growth, strengthens hair shaft and epidermal protective functions. It provides hair herbal odor. 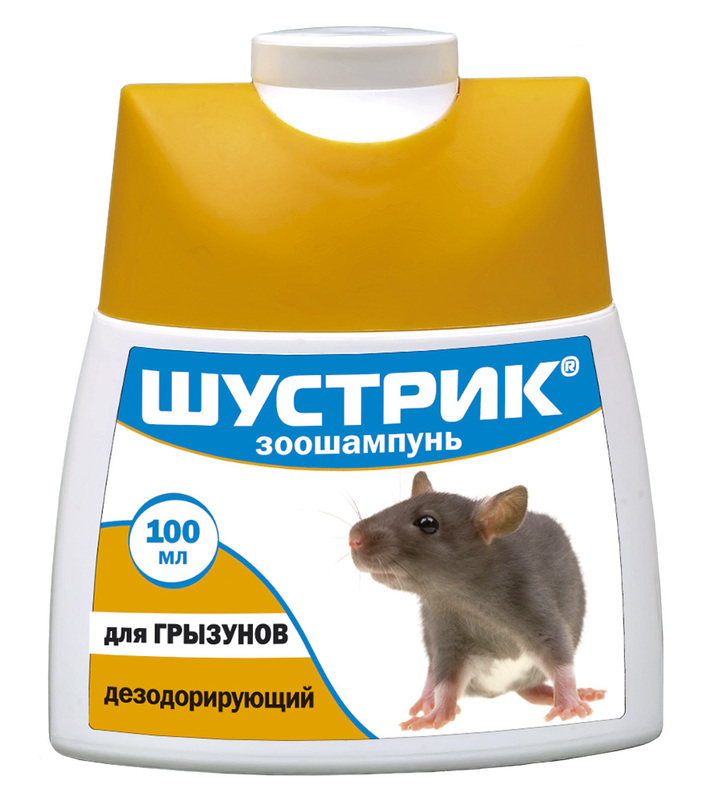 For regular care about rodent pelage and skin (especially, in captive animals kept in restricted space for a long time).